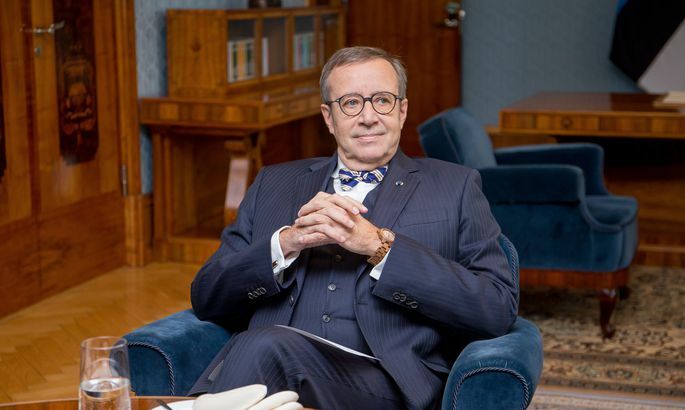 Speaking at the World Economic Forum in Davos, Switzerland, Estonian President Toomas Hendrik Ilves urged the European Union and all its member states to contribute towards a digital future and expressed concern over the bloc's lagging behind in the digital economy. Unless the European Union swiftly latches on to digital development Europe will become a pretty museum for the United States, India and China who will advance far ahead, Ilves warned in the panel discussion moderated by the secretary general of the International Telecommunications Union, Houlin Zhao. Discussing internet accessibility and future technologies, Ilves referred to the World Bank's newly published digital-themed report the advisory panel for which he co-chaired. The extensive development report highlights Estonia as a positive example of how various technical solutions can support economic development and forward movement of society. Ilves said the World Bank report draws a conclusion similar to the Estonian experience: a trustworthy legal system and public sector, as well as legislation that supports enterprise and innovation, are necessary prerequisites for benefiting from digital development. The report also concluded that easy access to information is the key to economic development, Ilves recalled. "Gutenberg's printing press ushered in a new information era. Tim Berners-Lee can be regarded as the modern-day Gutenberg as the web he invented can be considered the start of a new information era in both developing and developed countries," he said. In order to reap the benefits of the digital era, people need to acquire new, modern technological skills because the digital economy cannot develop without skillful and smart users. So, everything starts with school and the key here is rethinking and reshaping education, Ilves said. The president also joined influential academics and business leaders in a discussion on how future technologies will influence our lives 15 years from now. Among the covered topics were asteroid mining, genetically modified babies, self-driving cars and the related ethical dilemmas. The common opinion was that new technologies always bring with them some inconvenience, but the historic experience shows that the progress of technology cannot be prohibited and when all is said and done mankind has benefited from each technological revolution.